Do you want to logout ? Located in the heart of Yerevan, the Armenian National Academic Theater of Opera and Ballet named after Alexander Spendiaryan (Yerevan Opera House) is a cultural hub and an architectural triumph. It was built in phases between 1930 and 1953. Today, the Yerevan Opera House, one of Armenia’s most recognizable artistic landmarks, stands before us with its classical beauty, magnificent and technology-rich stage, one-thousand-plus-seat amphitheater, and splendid hallways and balconies. 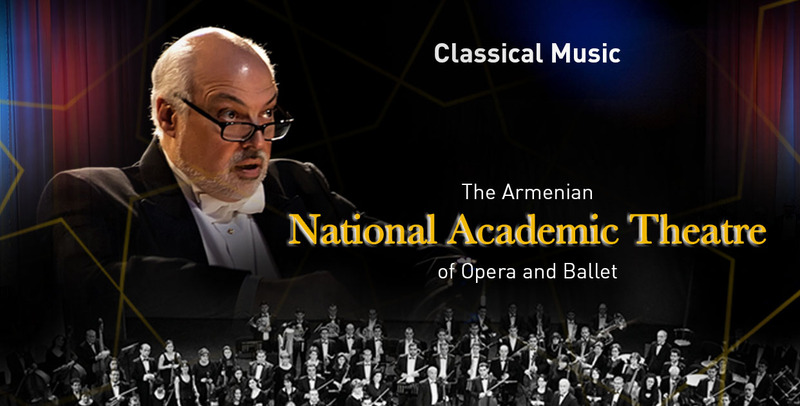 The opera company of the Theater consists of internationally acclaimed musicians including Honored Artists of RA Anahit Mkhitaryan, Hasmik Hatsagordzyan, Nune Badalyan, Marine Deinyan, Magda Mkrtchyan, and others. Traditional shoe-box concert hall designed to accommodate large international touring orchestras, bands and ensembles. - NO food or drinks are permitted inside the auditorium. - NO cameras, phones, or video recordings are allowed to be used during the show. - The age limit indicated on the show ticket must be respected. - NO exchange or refunds are permitted unless the event is canceled or postponed. - Only tickets sold via our official sales channels shall be honored. - Tickets may not be resold or offered for resale under any circumstances. - Tickets shared over social media with the barcode visible before the start of the show may be canceled. - Anytime during the show, and for any reason, should the ticketholder decide to exit the venue, a re-entry may not be granted to the auditorium due to security reasons. - Auditorium doors will close at the time indicated on the ticket. - Late entries will not be allowed except during the intermission. - Neither the promoter nor the venue can accept responsibility for lost or stolen items. - Violating any of the above terms and conditions grants us the right to cancel your tickets without refund and deny you from attending or continuing the show. © 2017 Sheikh Jaber Al-Ahmad Cultural Centre. Just refresh the page to continue.